Super rare! 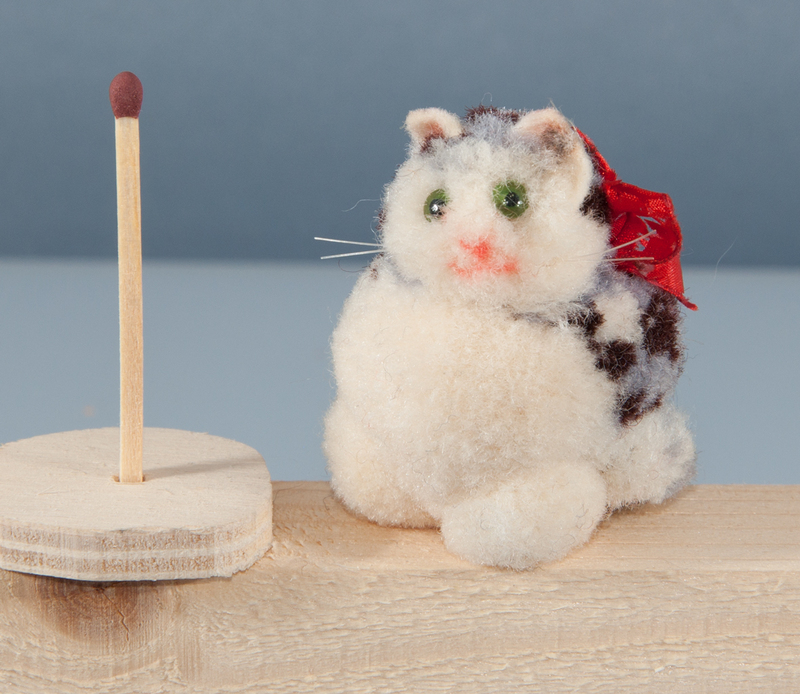 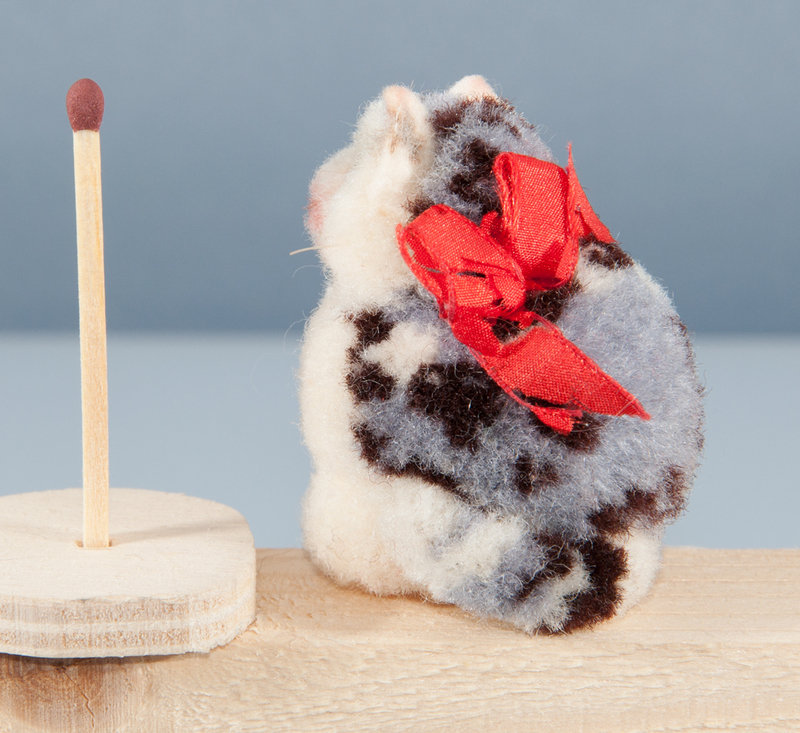 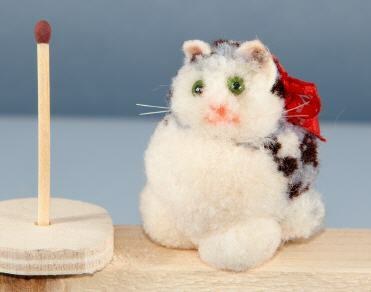 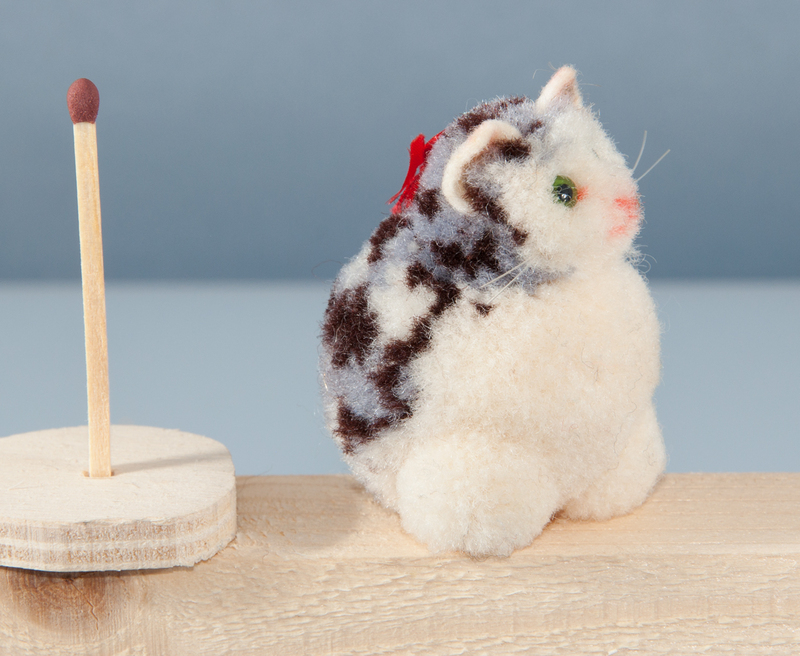 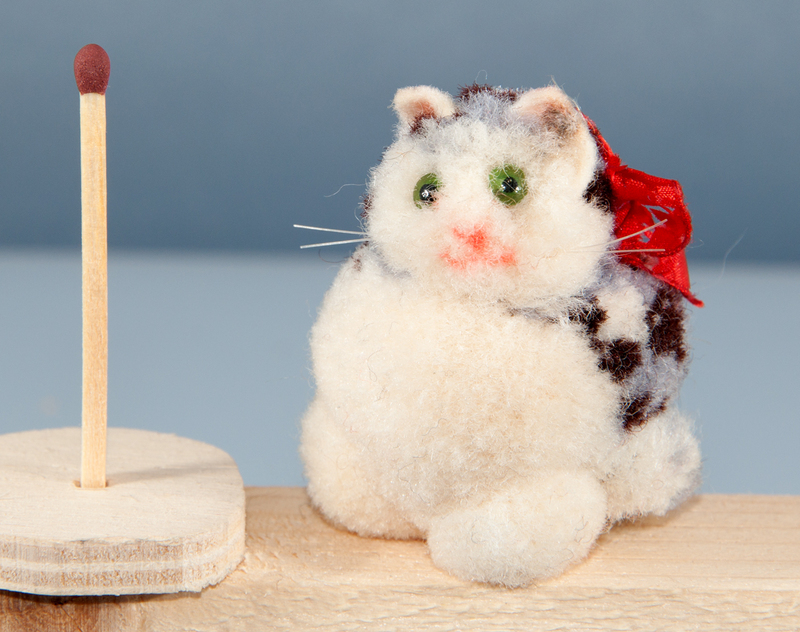 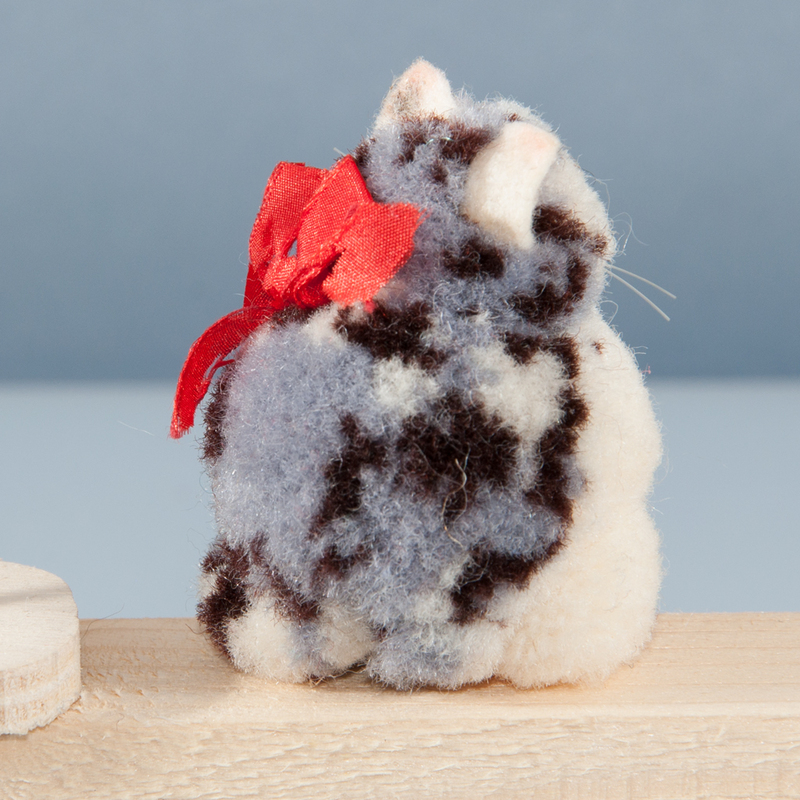 5cm small Steiff woolen miniature cat made of Nomotta wool in special color. 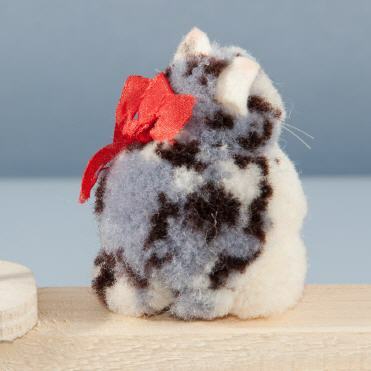 Blue-gray / black / white. 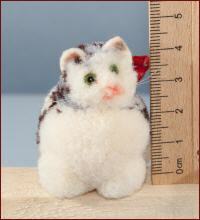 Green backpainted glass eyes, whiskers, original red silk bow. 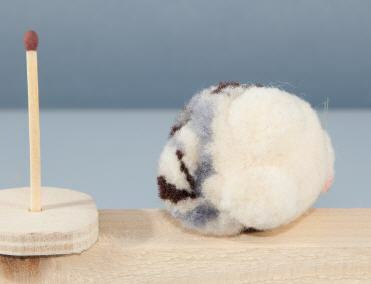 Without Steiff button. 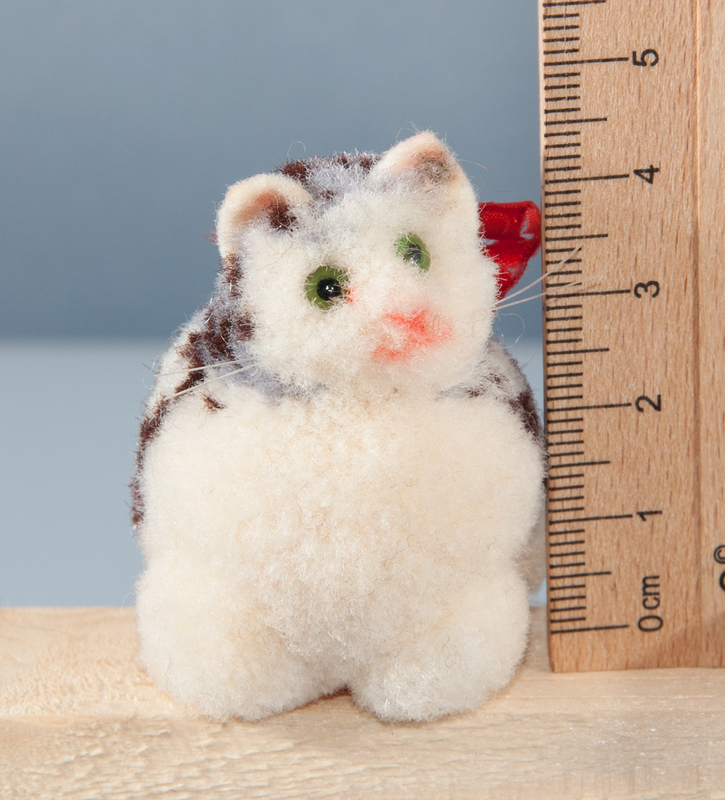 Produced only between 1936-1941.